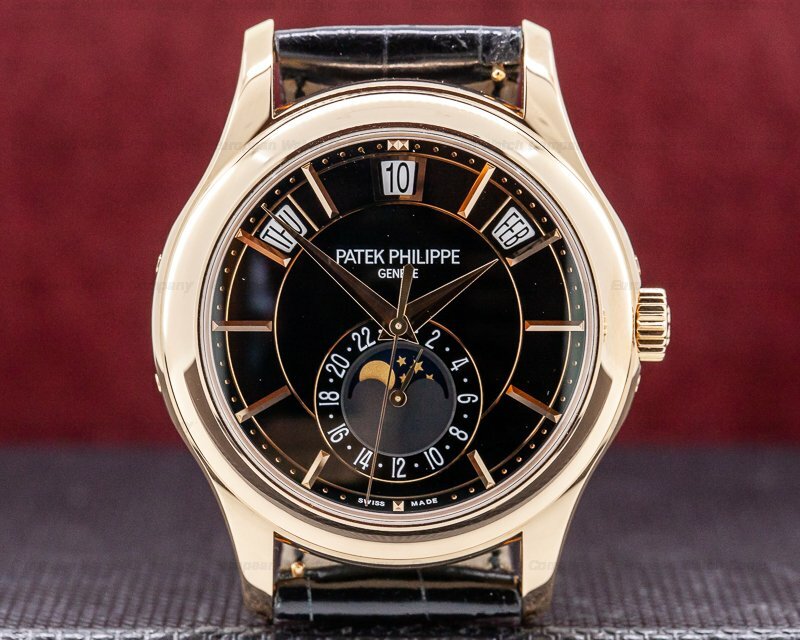 This is an 18K rose gold Patek Philippe Advanced Research Annual Calendar 5350R. 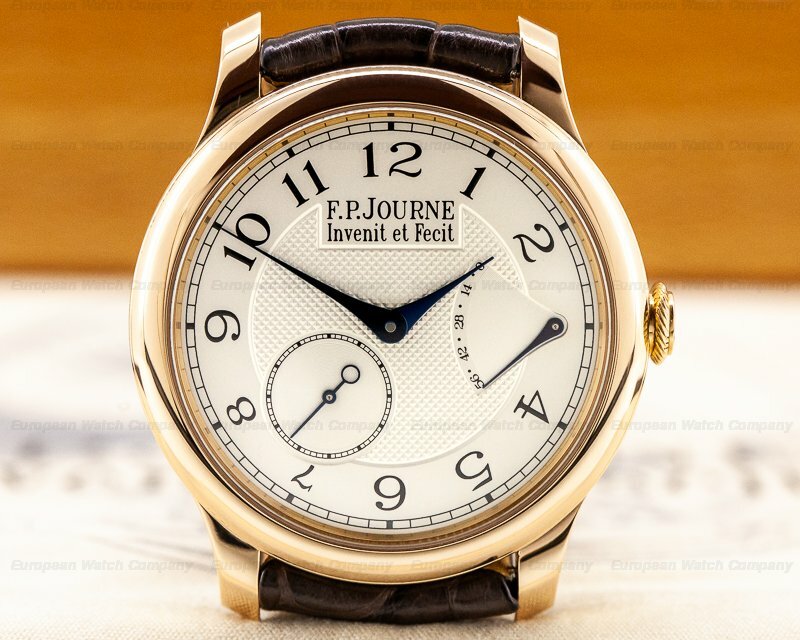 It's self-winding with a silver-grey dial and applied rose gold Arabic numeral hour markers and baton indexes. 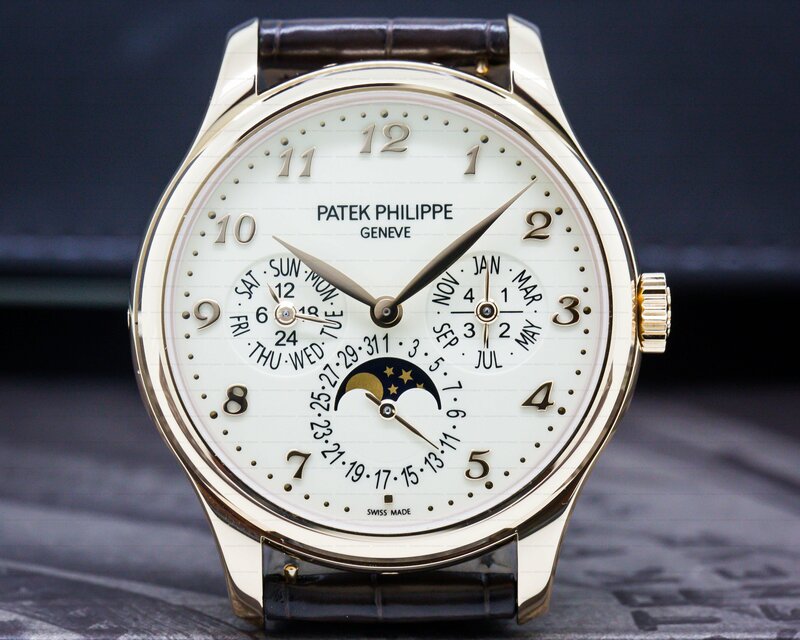 It has a sweep seconds hand with luminescent inlays, an outer minute/seconds rail, a moon phase sub dial, and a rectangular date window at 6 o'clock. 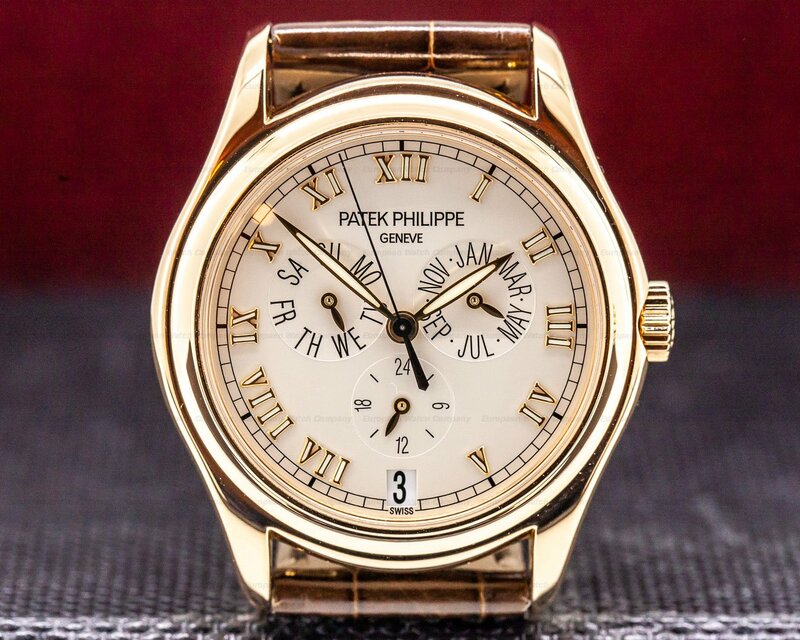 The day marker sub dial is at 9 o'clock, and the months are at 3. 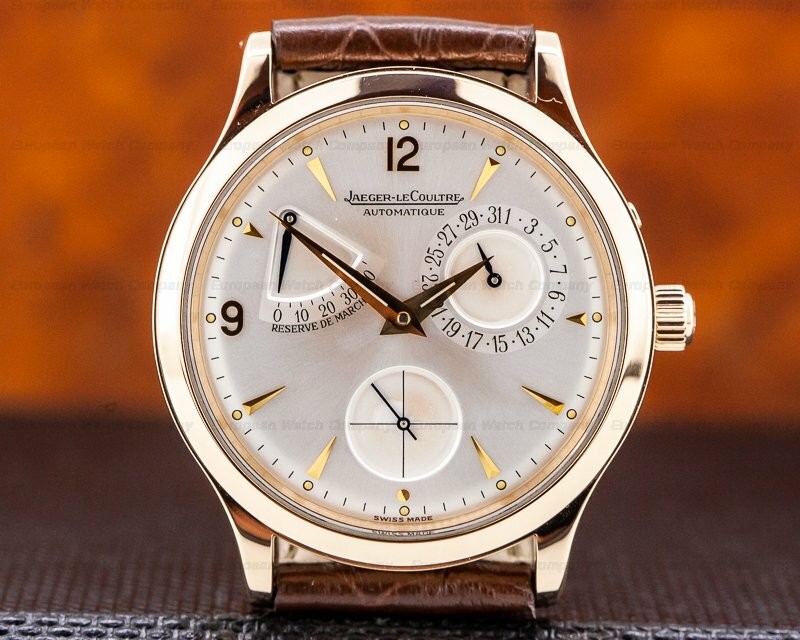 There is a plus-minus power reserve of 45 hours at 12 o'clock, and the case, dial, and movement are signed. The solid two-body case is polished, with a display screw-down case back including a cyclops-magnifying lens over the escape and balance wheels. It has a stepped, rounded bezel, concave lugs, and sapphire crystals. 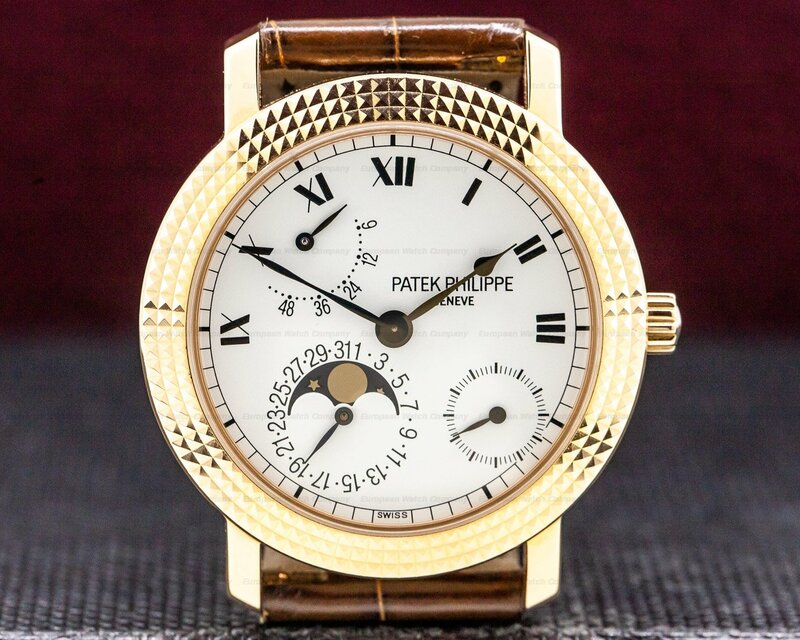 The back crystal is inscribed: Patek Philippe Advanced Research. It's water resistant to 25 meters/80 feet, and the 11.2mm thick case, dial, and movement are all signed. 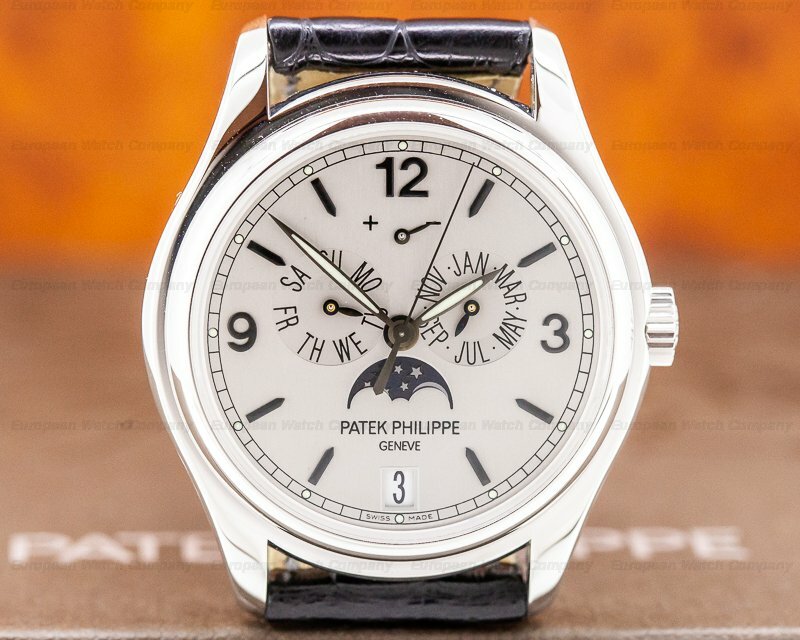 This Patek Philippe Advanced Research Annual Calendar 5350R has an automatic calibre 324 S IRM QA LU movement that's rhodium-plated with fausses cotes decoration and the stamp of the Seal of Geneva quality mark. It's built with 36 jewels, 355 parts, and it oscillates at 28,800 vibrations per hour. 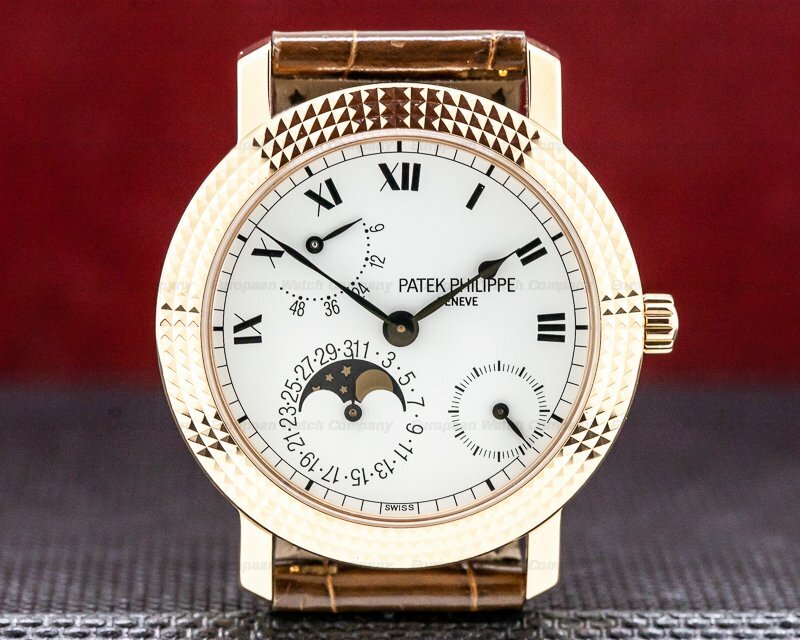 It has a 21K gold rotor with zirconium ball bearings, a silicon escape wheel, a self-compensating Silinvar Spiromax balance spring, and a straight-line lever escapement. 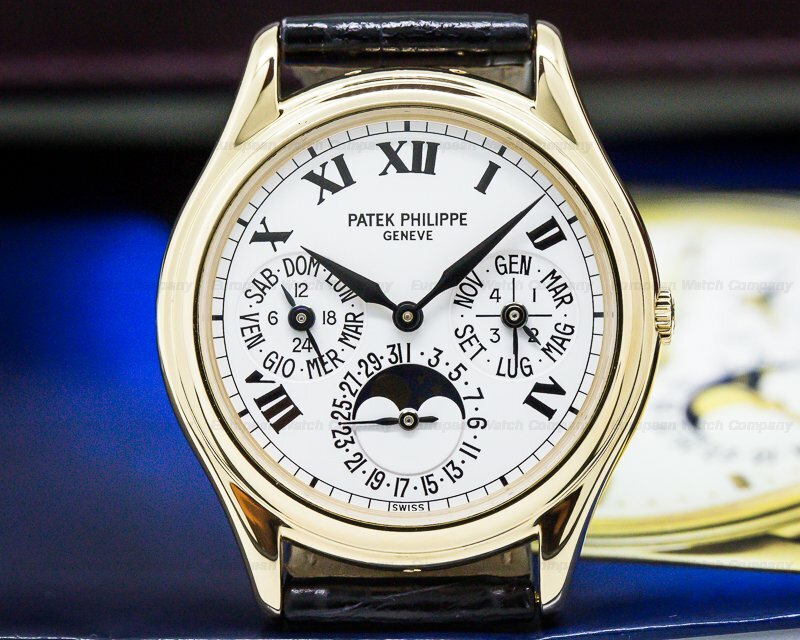 The leather strap has an 18K rose gold double-fold deployant clasp and the special engraved inscription: "Patek Philippe Advanced Research." 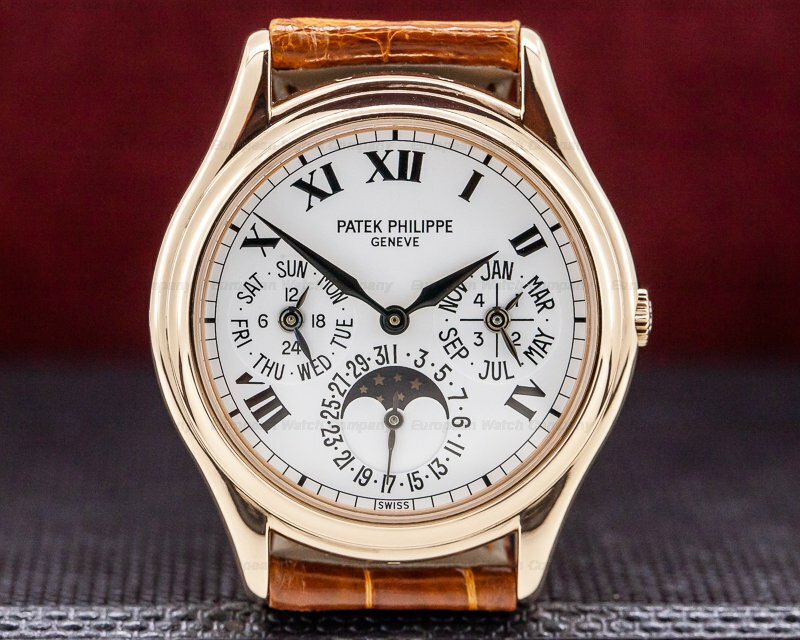 The Patek Philippe Advanced Research Annual Calendar 5350R was previewed at the Basel watch show in 2006 and went into production of only 300 pieces beginning in 2007.